Just how impossibly rich and deep is the life and career of American pop parodist “Weird Al” Yankovic? It’s so impossibly rich and deep and vast that at this point we have devoted ninety entries running some one hundred thousand words (or enough to fill the average book and a half) to Al’s life and career and there is so much we either haven’t gotten to at all or covered only in passing. Al is one of the true masters of the music video form. It’s hard to overstate the importance of music videos in Al’s career yet we’ve dealt with them only tangentially. 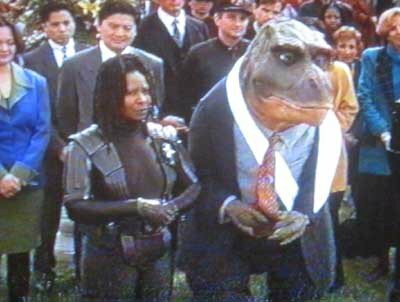 We similarly haven’t discussed Al’s many movie cameos from this period, or his even more prolific work as an in-demand voice actor. Heck, we didn’t cover his quasi-autobiographical mockumentary The Compleat Al even a little bit, nor have I written at all about the similarly fictionalized faux-memoir The Authorized Al. That’s only the beginning of the stuff I somehow haven’t gotten around to writing about. I didn’t write about UHF the movie even when I was writing about the soundtrack and some of the more observant of y’all may have noticed that Al's Grammy-nominated album-length collaboration with legendary electronic musician Wendy Carlos (who some of y’all probably know as the woman who composed the score for a little movie called The Shining) on the classical chestnut Peter and the Wolf has been ignored by this column in its entirety. What can I say? When you only have one hundred thousand words to devote to the first half of someone’s career you’re going to have to overlook an awful lot. There’s just so much of Al out there in myriad forms that even a perversely exhaustive exploration of the man’s music like this has to be selective in its coverage. For example, a month or two before I got the direct message on Twitter from Al asking me to write his extremely still available for purchase coffee table book Weird Al: The Book, I satiated an intense nostalgic curiosity about some of the odder corners of Al’s early career by looking up some of his “AL-TV” segments from MTV and later VH-1. The highlights of “AL-TV” were fake interviews between Al and huge pop stars where real answers were juxtaposed with Al’s “questions” to comic effect through the magic of constructive editing. The specials, which began in 1984 and would continue, intermittently, over the next two decades, afforded Al a new outlet and medium to lampoon the pretension and posturing of the rock and pop world. AL-TV was cheap, entertaining, good programming for MTV and unbeatable promotion for Al. It also introduced some beloved running gags and inside jokes, most notably in the form of Al’s beloved pet, Harvey the Wonder Hamster. Harvey looked for all the world like a normal hamster but Al nevertheless considered him worthy of being heralded in song. Harvey figured prominently in AL-TV, including a clip where Al not only talks up his furry little buddy, but sings the official “Harvey the Wonder Hamster” theme song before cavalierly chucking his little pal off the roof of a building. It’s a jarring gag, both because Al is pretending to casually commit murder and because Al is so famously an animal lover and vegan. Then again, as we have discovered here, in his music and comedy, Al will do all manner of things he won’t do in his famously wholesome real life. The “Harvey the Wonder Hamster” theme song, a cheery, upbeat, insanely infectious little children’s ditty, makes its debut on a long-playing record album on Alapalooza, as a twenty-one second oddity on the second half of the album, wedged between two of Al’s lesser originals from this era. Its placement adds to the random nature of the album’s second half. 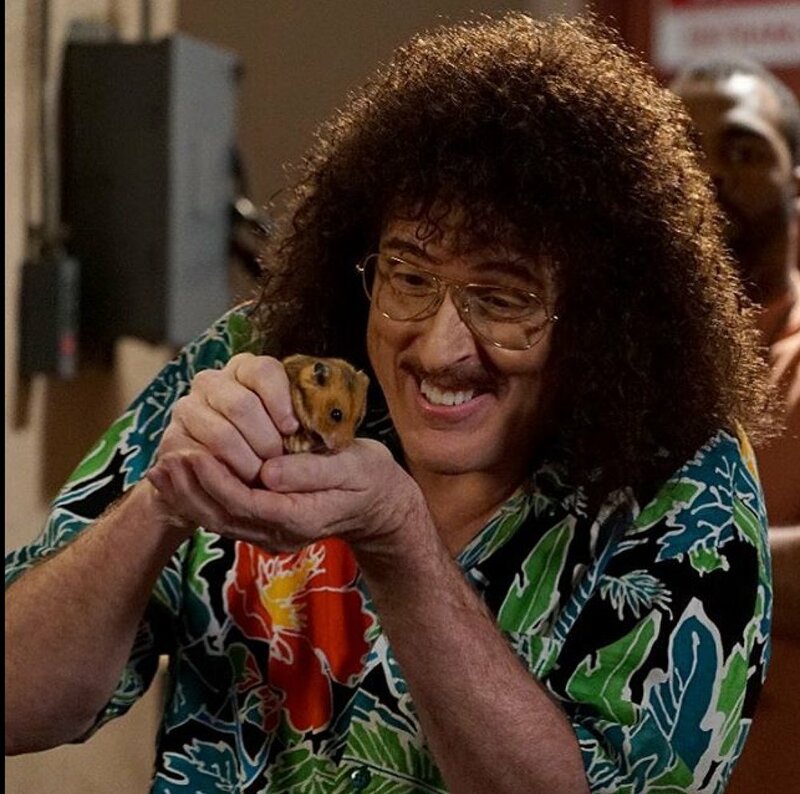 Yes, both Harvey the Wonder Hamster had been around a while when Al decided to pay tribute to iconic animal on record and he’d go on to play an even bigger role in another beloved Al cult oddity too good and smart and weird to be successful: The Weird Al Show. Will I get around to covering The Weird Al Show for the Weird Accordion to Al? I don’t know. We’ve only got about one hundred thousand words left of space left. Thankfully, we’ve got the eventual Weird Accordion to Al book to fill in the many, many holes somehow left even in a project this insanely, pathologically obsessive.